The Connacht Property Auction held its latest public auction on Tuesday April 24 in The Menlo Park Hotel, Galway. The auction team were delighted to achieve an impressive 83 per cent sold rate at the auction. There was a wide range of properties from across the province offered for sale including family homes, agricultural lands, and investment properties. Back to the auction in Galway on April 24, where a four bed semidetached family home in Spiddal, Co Galway, was sold in partnership with Spencer auctioneers. No 10 Bruach Na Mara saw great interest in the lead up to the auction and bids came forth briskly from several different parties in the room, as well as from pre-registered phone bidders. The hammer finally fell on €120,000 to a delighted bidder. Again in partnership with Spencer auctioneers, a charming four bed detached bungalow was successfully sold. Rosmuck, Derryrush, had a number of pre-auction bids and the owner accepted an offer of €130,000 prior to the live auction event. Also in Galway, in partnership with Tyrrell auctioneers, Tuam, a charming three bed property was offered to the floor. The property in Lehinch, Killkerrin, Galway is in an ideal location and there were several parties hoping to secure the winning bid. After some strong bidding in the room, the property sold for €136,000. Thirteen acres of high quality agricultural land in Claremorris, Co Mayo, was brought to the market in partnership with Gerard Hanley auctioneers, Claremorris. The land attracted strong local interest in the lead up to the auction and was successfully sold for €65,000. 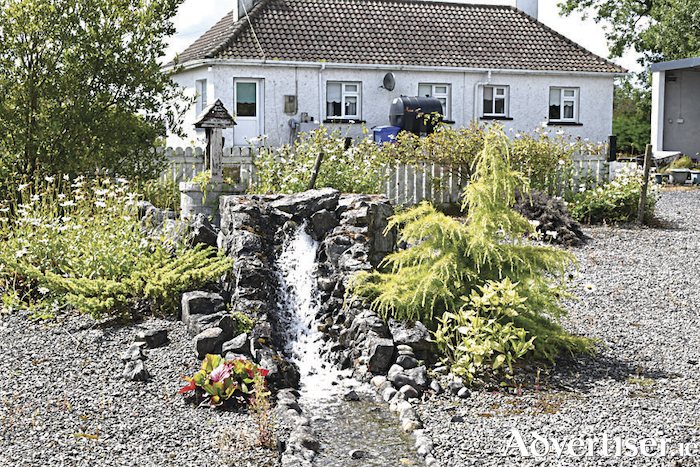 Elsewhere in Mayo, in partnership with Gerry Rowland auctioneer, Ballina, the auction team successfully sold a two bed cottage with 11 acres of land in Foxford. This property at Largan, Ross, had good local interest and was sold for €70,000. Meanwhile in Leitrim a four bed bungalow offered for sale in partnership with Gordon Hughes estate agents, Ballinamore, No 2 Hartley Court, received a number of bids and the successful bidder secured the property at €100,000. The Connacht Property Auction team are confident their public auctions will continue to get the right results for their clients and state there is demand for family homes, agricultural land, and investments across Connacht. Traditionally the spring/summer months tend to be the busiest period for property transactions and the team are anticipating large levels of enquiries over the next few months. The Connacht Property Auction is the only auction company in Ireland that does not charge any upfront costs to enter a property into auction. The auction team take on board all marketing and entry fees — so the property owner has no costs until the property is successfully sold at or above the agreed reserve price.